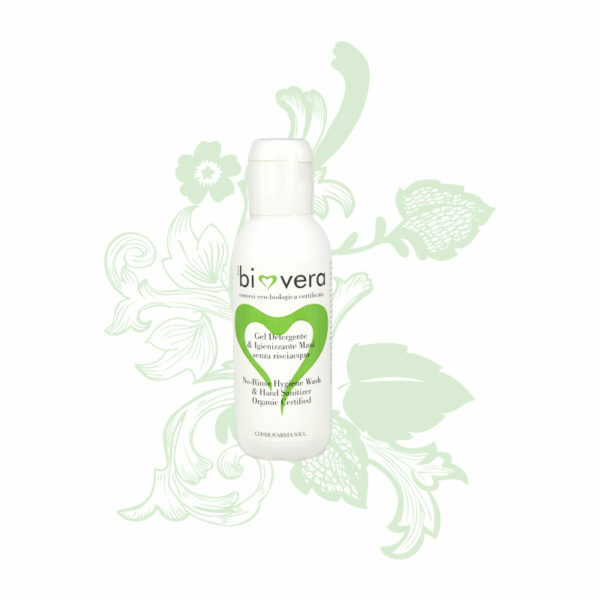 Eco-bio waterless Gel sanitizer, effective and safe for hand & body areas: hygiene without water and no need to rinse. A gentle, fresh formula, with organic alcohol with antimicrobial properties. For family use, for bedridden or handicapped people, for sanitary activity or when travelling. For all skin types. pH balanced.